You've signed up for your first mud run, now what? Find some tips below to help you get ready and run in your first mud race! Weight Training: Mud running requires more than just cardio training; in order to successfully compete in the various obstacles you’ll need to build your muscles through weight training exercises. Obstacles are scattered throughout mud races, so while running makes up the majority of the course, you’ll need extra strength to carry your weight over barriers, through tough mud pits and even through dangerous fire covered areas. Learn how to land from an obstacle: Signing up for a mud run puts your body to the test and proper training weeks and months in advance will help avoid injuries. Unless you’re a seasoned mudder, you’re unaware that many injuries during a mud race occur when racers are landing after completing an obstacle. Landing hard and jumping down from an obstacle incorrectly can cause injury early into the race. Make sure to land softly on your feet and be aware of those around you. Wear light clothing, avoid cotton: You entered a mud run, so chances are you’re going to get muddy and very wet. Wearing cotton will weigh you down, so make sure to wear tighter fitting clothes during race day made of synthetic material or nylon. Wear waterproof sun block: Between sweat, mud and water any sun block you put on will surely come off, so make sure to wear waterproof block to keep your skin safe. 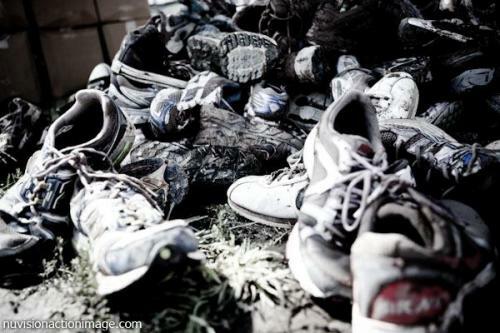 Bring trash bags and change of clothes: Unless you want to bring the mud home with you, make sure to bring a large trash bag for disposing your clothes and shoes post run. Depending on the weather, bring a pair of flip flops for after the run. Take long steps through deep, muddy areas: You’ll be running majority of the race, but when it comes to muddy water pits try and keep you pace slower. Compensate for your pace by taking longer, slower steps to get you through these tough points of the obstacle course. Have you signed for a mud run yet? Check out our events page to find a race near you!